We guarantee customer satisfaction, and are recognized both in our industry and in our community for the level of service we provide. RestorationMaster has the equipment and expertise to effectively remove dirt and cleaning solutions used to clean carpets. We realize that improper cleaning procedures can void your carpet warranty, so rest assured our methods are safe. Why take a chance with rented equipment that can leave the carpet too wet – promoting mold and fungal growth – or that leaves detergent behind? Instead, enjoy beautiful results and avoid the headaches of trying to do the job yourself. Choose carpet cleaning services from RestorationMaster in Hanford, California. No loss is too small – or too large. We understand how important it is for you to have the full use of your home or business as quickly and cost-effectively as possible. Your valuable property and your ability to serve your customers depend on our performance; that’s a responsibility we take very seriously. RestorationMaster in Hanford CA has the resources to handle any situation, from regional floodwaters, broken pipes, and dumpster fires to residuals from forest fires, hurricanes, acts of vandalism and even acts of terrorism. RestorationMaster fire & smoke damage restoration specialists are ready to handle emergencies 24/7 in Tulare, Kings and Kern county CA, helping to restore your life to normal as soon as possible. 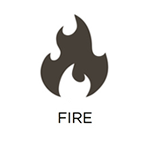 They know that quick action cleaning fire damage can minimize your losses after the fire gets extinguished. 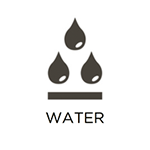 Our disaster restoration department provides the full scope of services when it comes to handling any water emergency. We provide 24-hour, 7-day-a-week emergency service, with a staff of over 25 technicians and office personnel ready to assist you. We have provided water restoration services for homes, businesses, schools and churches throughout the South Valley CA. 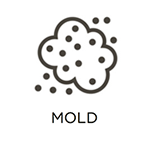 RestorationMaster mold remediation services include drying the moldy surfaces and disinfecting damaged areas. RestorationMaster technicians then dispose mold contaminated materials in sealed bags/sheets as part of the mold remediation. Proper disposal of contaminated materials to prevent releasing mold particles into the air is an important part of mold damage restoration.